Join us this Sunday March 5th as San Tan Fords Central Arizona Speedway takes advantage of the beautiful desert weather with a 1:00pm start time featuring San Tan Fords IMCA Modifieds, IMCA Sport Mods, Pure Stocks and Bombers. 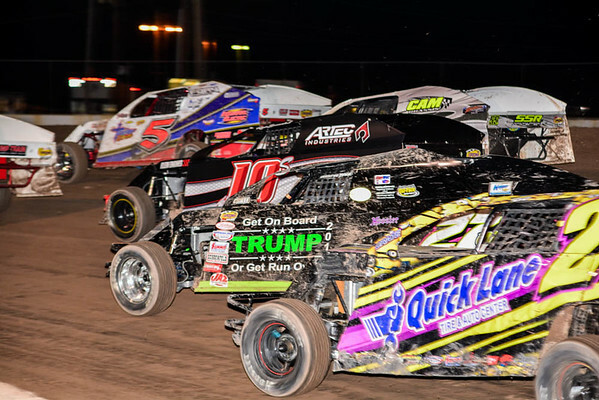 With the explosion of both the IMCA Modified and Sport Mod divisions the stage is set for superior racing and ultimate entertainment for the 2nd annual Super Sunday Shootout. Both divisions are in action Saturday night at the sister track of Arizona Speedway and will return Sunday afternoon to gain maximum IMCA and San Tan Ford Championship points at Central Arizona Speedway. Racing action begins at 1:00pm Sunday March 5th . Pits open at 10:00am, front gates open at 11:00am. Cost of admission is $15 for adults, $12 for senior and kids 11 and under are free. Central Arizona Speedway is located at 512 S Eleven Mile Corner Road, Casa Grande, AZ 85194 at the Pinal county fairgrounds. Follow us at www.Facebook.com/CentralArizonaSpeedway or call 480-266-1378 for more info.